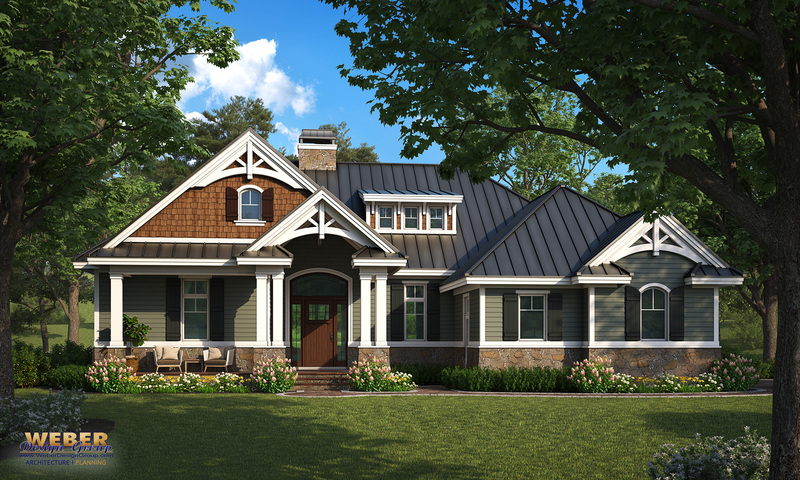 Don’t let the compact size of this two-bedroom, two-bath craftsman style house plan fool you. 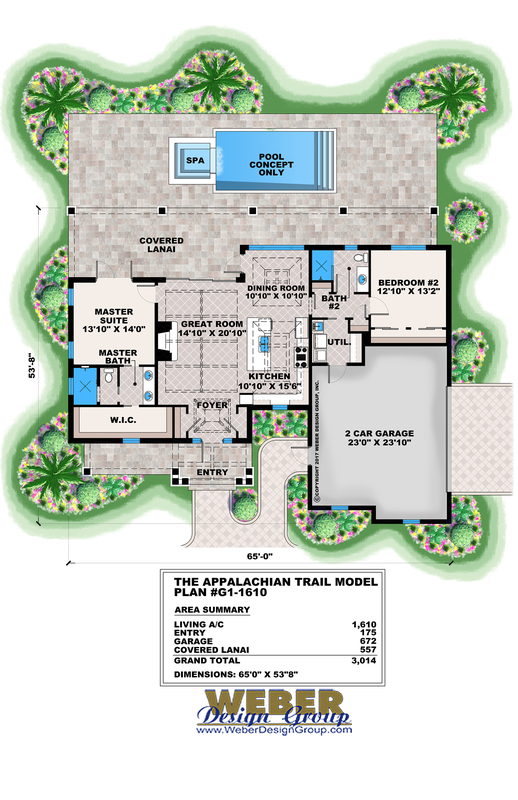 The open layout of this home plan offers free-flow between the great room, kitchen and dining room, and then invites the outdoors in through pocketing glass doors that lead out to the large covered lanai. The floor plan features a spacious master suite with a huge walk-in closet as well as a guest bedroom and bath, utility room and over-sized two-car garage. The design could be ideal for someone looking for a tiny house plan with roominess in all the right places. Ceiling Height: 11'4" - 13'4"
Ceiling Height: 11'4" - 13.4"